Musicians unable to reach Christ Church Malvern due to snow. 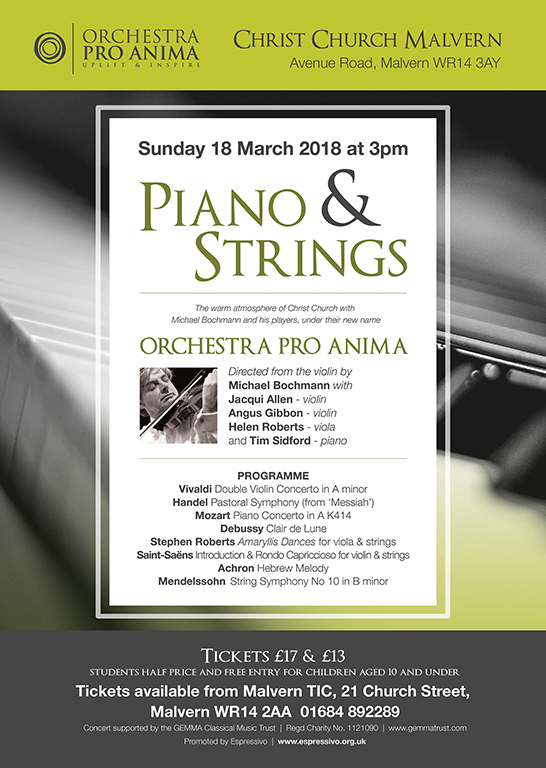 Another opportunity to spend an afternoon in the company of Michael Bochmann And Orchestra Pro Anima – piano and strings. We have had such a fabulous start to our concert season and continue on Sunday 18th March at 3.00 p.m. when we very much look forward to hearing Michael Bochmann and his Orchestra Pro Anima, once more bringing top class music to Malvern. We also can’t wait to hear Tim Sidford again, who, on this occasion will be performing the unmissable Mozart’s Piano Concerto in A K414, the programme also includes Vivaldi, Achron, Debussy, Handel and Ireland. 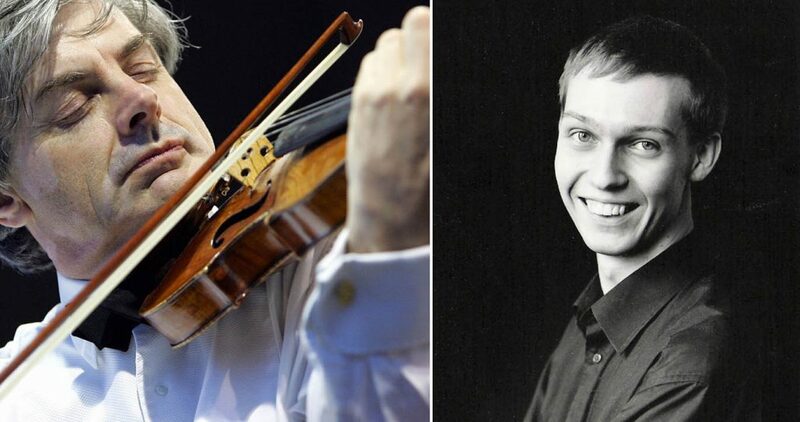 Sunday 18th March 2018 3.00 p.m. Michael Bochmann and Orchestra Pro Anima and with Tim Sidford on piano. With tea, coffee and cakes at the interval it’s a must!